We liked the idea to be free from taking these big bike boxes with us and handle them at airports, bus stations etc. 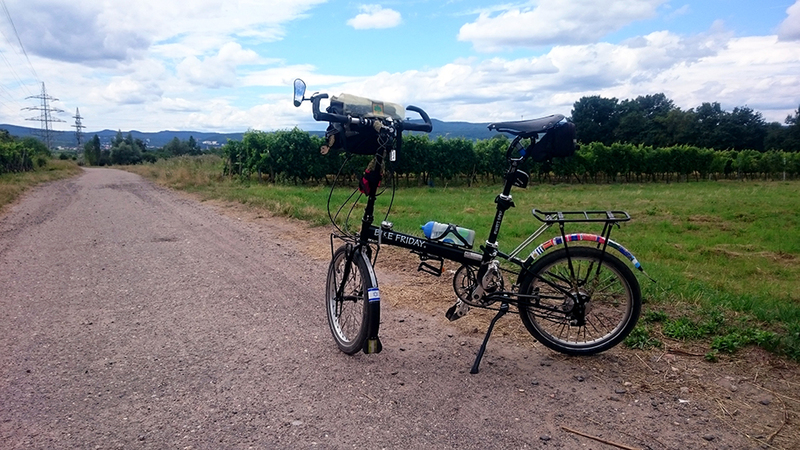 In connection with our research we also went to a special bike exhibition in Germersheim, Germany named “Spezi”. 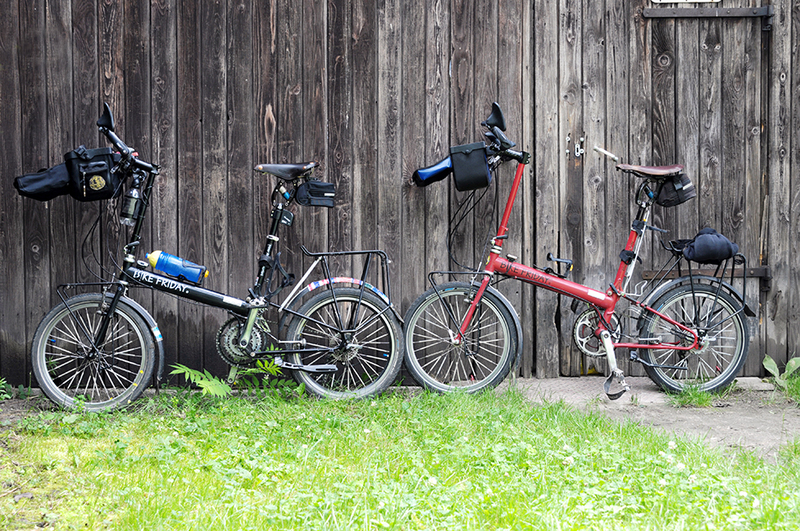 Here we discovered our american folding bikes “Bike Friday (BF)”. We were lucky that there existed an importer in Germany then, which is not the case any more now. If you guys should share our opinion, that nothing in life happens without a reason, you might understand that we are not sure if we found the Bike Fridays or if they found us…..
One of the good things about the BF is that you can disassemble the bike and put it into a suitcase. If you want, you even can use it as a trailer during your trip afterwards. Soon after we ordered the first bike, a “New World Tourist” with Rohloff gears we felt so inspired that we ordered the second one. The first big practical test was a 6 week trip through Thailand and Cambodia. It was just awesome. The bikes were easy to ride inspite of quite heavy load and really some very tough roads. We really felt fantastic. Then about two years ago I had a new idea. I wanted to try out how it would feel to ride with some wider tires on my bike. As the maximun on a NWT is 1,75 I decided to buy a new one. A “Pocket Llama”. The bikes are almost the same. The only difference between the new and the older bike besides the possibility to put wide tires and disc breaks is actually the Easy Pack mast that I ordered it with.